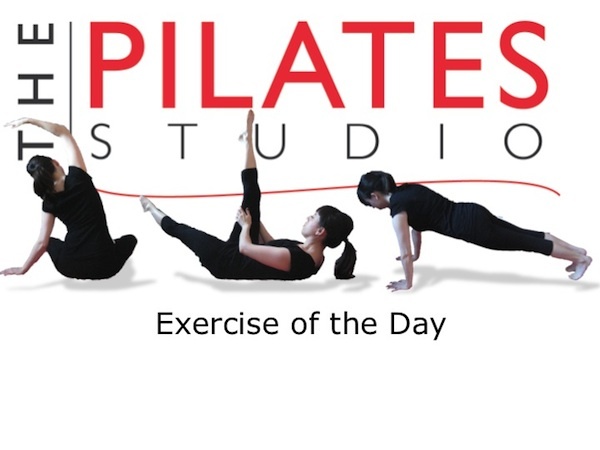 This exercise is intended to lengthen the fibers of the lumbar spine. The soft ball increases the range of motion. To do this exercise you will need a mat and a soft ball. Start by lying on the mat placing the soft ball underneath the pelvis. Hug both knees to your chest while continuing to breathe. With each breath let the tissue fibers in the back move. On the inhale they expand and on the exhale the spine releases towards the ground. Continue to breath. 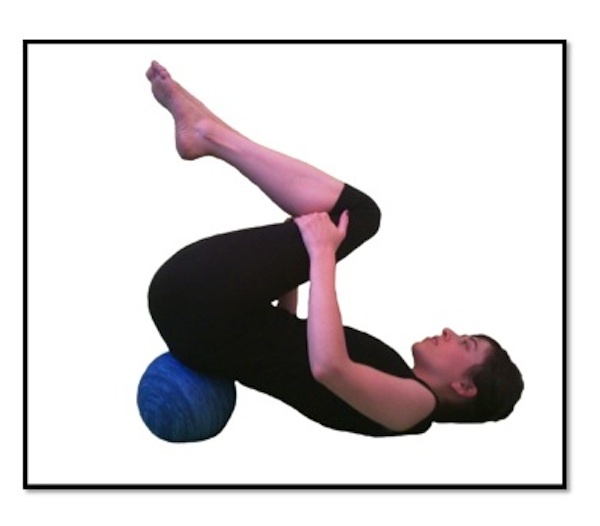 With the pelvis on the ball you can also move the legs gently in the knee sockets to change the angle of the stretch. The soft ball adds a lot of proprioceptive feedback to the back as it stretches. As you are hugging your knees to your chest you can use the soft ball to find tighter spots. Consider it a fact-finding mission. Is your back tighter on the right or left side? Do you feel tightness directly along the spine, or do you feel tightness further out to the side? Use the ball to find what you need to find. Remember to be easy in the head neck and shoulders when your pelvis is elevated on the soft ball.